The web realm is already filled with tons of literature dedicated to how important the design and responsiveness attributes are when it comes to making an impression in the minds of users. However, in the midst of all this frenzy, one aspect that finds itself being overlooked is the typographic representation of the website. For all intents and purposes, typography plays a more than crucial role in determining how sleek and accomplished a particular blog is. For creating a website that right away clicks into the top gear, you need to pay individual attention to every aspect. And best assured, typography and font styles are not one of the aspects. Typography forms the very essence of every web design and if you skimp on making your site’s typography look good, you are unarguably and widely off the mark. You might be making your best efforts to make it certain that the design of the site looks catchy and takes hold of the user, which is great by the way, but you can’t there without taking typography all along with you. Not only should it look good, the typography should be structured in a manner that it adapts itself according to diverse operating systems and screen sizes, which happen to be plenty. You have desktop systems, then you have tablets, and then there are mobile devices to cater to (which happen to be apparently the most used devices for accessing the Internet). But more on this later. Let us begin from the more molecular levels. You surely can’t complain about the lack of variety, because that isn’t the case here. When it comes to choosing the font style for your website, you simply have a wide host of fonts to choose from. They are business-like, they are fancy, they are sombre, and they are downright casual. You have a style in mind, and you have just the right font for it. That said, there is no dearth of fonts that look beautiful on the surface, but when you sit down and start reading the content written in those fonts, you really start squinting your eyes and squinting them hard. And that’s where the realization dawns that fonts are not to be trifled with. With the font styles on pages that are content heavy, simple serves the purpose. If you, in your go-for-broke ambition, go on to select the fanciest of fonts that will supposedly enamor your visitors, the real effect is going to be exactly the contrary. The fonts only look good as long as they are readable. The moment you make your users strain their eyes to understand the text, you are only inviting failure. At the same time, fanciness works with logos, as they are are usually the stand out elements of any design, the logos are bigger, and even with some intricate fonts, it is easier to make out what’s written. The logo of Walt Disney is the most perfect example of the same. Or, you can have all sorts of fonts in your powerpoint presentations and nobody is complaining. this is where we cater to the responsiveness attribute of the websites. For making sure that the text is compatible with varying screen sizes and devices, you need to inject a flexibility in the way the text resizes itself. In addition to that, it has to be made sure that when the text is resized to suit the smaller screens, it is not appearing too small. At the end of the day, it has to be comprehensible enough. Again, you might as well have a suite of typefaces in your kitty, but there has to be a restraint to how you use them. There is no thumb rule for how many typefaces you should use, but there has to be a method to the whole exercise. When you are using multiple typeface in a single space, the fancy font can gel well with a neutral one. Besides, the typefaces can be varied according to different sections of a web page’s structure. You can have a bold and vibrant typeface for the titles, a slightly simpler one for the sub titles, and the most fuss-free and readable for the body of the content. This way, you really take the steps in the right direction when it comes to having the right mix of great visual appeal and user friendliness on your website. The conflict between different font styles has to be avoided, for the best interests of your website’s connect with the end users. For what we know, the web space is not too costly. You have enough room to include information on your website and no one is compelling you to stuff all of it within a limited space. So, why stack the words up? The spacing between words, the spacing between lines and the overall line lengths are some aspects that have the biggest of impacts on the texts readability and responsiveness. Clutter is your biggest enemy, and the sooner you realize it, better it would serve you in the longest run. By keeping small line spacing and long line lengths, you are only adding to the clutter. The experts say that for the desktop screens, the most perfect line length is somewhere between 60 to 75. On the smaller screens of mobile devices, it should be close to 50 characters, give and take. Keeping too many characters might only dissuade your visitors from the page and make them want to run off to your competitor’s website. And that’s when you would indeed be compelled to press the panic buttons. In addition to the figures, one more technique you can employ is to align the typeface in a fashion that the screen width is occupied fully. It is also recommended to go for the column structure when the screen size is greater than the usual. As for the line spacing, the lack of it will render appropriate line size worthless. Have the two lines properly spaced out from each other so that the whole content looks clean and free of clutter. The font appeal, or the lack of it, is heavily influenced by the colors you choose for it. The colors not only lend your text beauty and attraction, but they are also instrumental in creating an interpersonal connect with the users. These send out the brand message in a manner most effective and relevant. For example, a website for kindergarten can have text written on it in different colors, as being playful is what it comes down to at the end of the day. The websites of the healthcare centers do with the most fuss free colors like black on the wite background. The website for a liquor brand can experiment with brown hues and so on. There are different sets of rule in different contexts. The fancy colors can well and truly elevate the mood, but only when they are meant to. You do not associate glossy pink color with sombre things, and thus, having the body of the content written in pink or yellow on a website for a hospital will look totally out of place, most definitely so. Kerning is a mix of a number of things we have discussed above. It has something or the other to do with just about everything typography. Not everyone knows what kerning is all about, but when a website’s pages are poorly kerned, it shows. Kerning, as earlier said, is a concoction of several elements. To begin with, you need to be sure that you are not going haywire with the leading and tracking, something which we touched upon already. What needs to be understood with a greater urgency that relying too much on the font software solutions for kerning your website is not a right approach. Different letters in your text have different spatial relationships between them. It proves to be resourceful as it helps in a much better alignment. The upper case letters can be swiftly mixed with the lower case ones so that there is a coherence in the overall typography, while steering clear of the juvenile vibe that a not very experienced designer might end up giving out. Kerning also suggests that less is more in web designing. And this takes us back to the concept of minimalism which states that the current sensibilities of Internet users are not leaned towards overwhelming visual appeal. Instead, what attracts them more are the subtle hues and the non fussy designing approach that is easy on the eyes and does not swing at them a riot of patterns and colors. 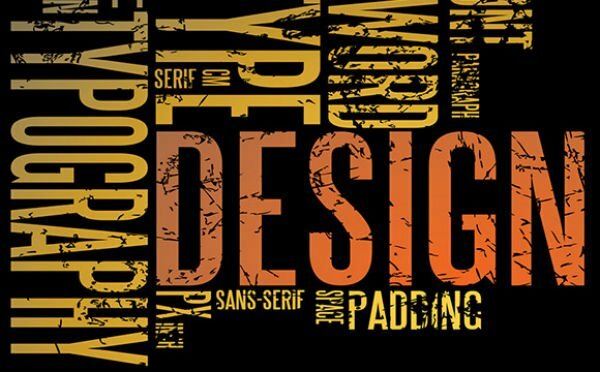 Getting the typography of your website right does not mean you need to indulge yourself in any sort of hard slog. It simply is an approach where you break certain monotonies, and also take along certain time-tested rules. Maria Mincey is qualified outsource web development professional who is great at delivering focus in her writings. She works for Xicom Technologies, a outsource web development company which delivers most comprehensive web applications and solutions for different industry verticals.